A thousand feet below my perch on the cliffs, I see movement on the glacier. I raise my telephoto lens and watch as an animal runs across the blue ice, jumping over crevasses. It doesn’t slow when the glacier gets steeper, it digs its claws in, climbs around the bergschrund and into the cliffs toward me. Now it’s only a dozen yards away. It looks like a cross between a bear cub and a badger, with snowshoe-like paws and a blonde stripe along its brown side. It is a wolverine—and it’s the reason I’m here. I take a burst of photos as it runs past me, up the slope and into the alpine tundra. A hundred yards above, the wolverine startles a marmot out of hiding. 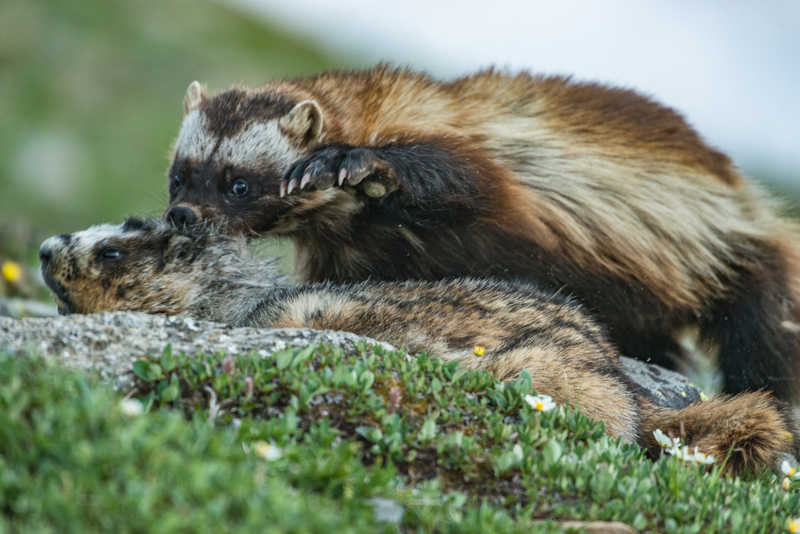 It becomes a life-and-death tug-of-war as the wolverine pries the marmot from beneath a boulder. They both somersault down the slope, rolling by me in a blur of fur and claws, just an arm’s length away. When they finally stop, the marmot is motionless. The wolverine drags it into a crack in a snowfield, refrigerating it for later. Wolverines depend on year-round snowpack for caching food and for raising their white kits in snow dens. This marmot will keep until the wolverine comes back. I had been waiting for this moment for months. Since my first encounter with a wolverine five years ago, I spend a lot of my life looking for these enigmatic creatures. The landscape here in Glacier National Park holds around 300 grizzly bears, but only 30 to 40 wolverines. They travel hundreds of miles each week, circumnavigating large mountain ranges. 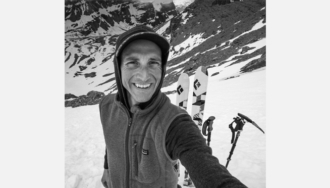 To find them, I put in 90 miles a week with 30,000 vertical in the mountains, on skis or in my running shoes. I return again and again to the passes and peaks I know they travel. Day after day in the high country, I fall into a rhythm, passing the hours alone, always looking, senses attuned for any movement, waiting for a glimpse of one. At times the work feels like a burden, at other times a gift. 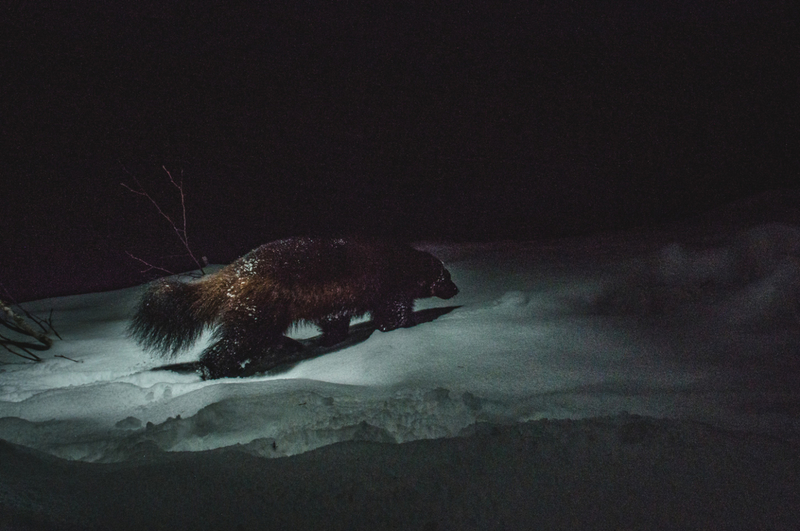 The monotony and months between sightings wear on me, but the wolverines themselves inspire. This thirty-pound animal can drive a grizzly bear off a carcass, but will also spend hours playing on a snowfield with its kits. 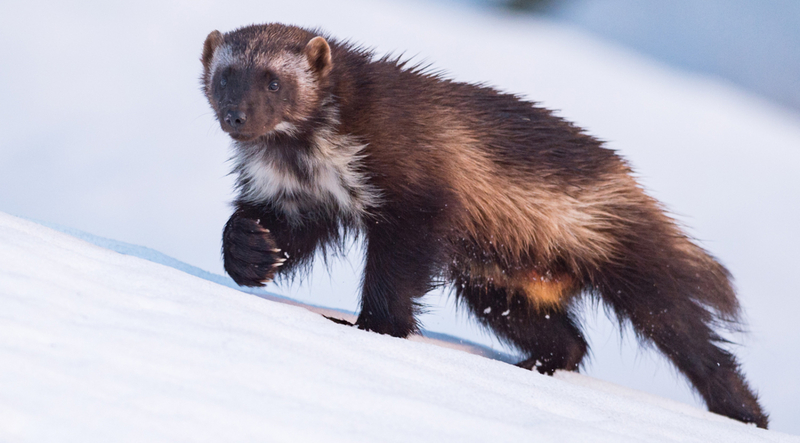 Researchers tracked one wolverine that climbed the west face of the highest peak in Glacier, scaling 5,000 feet in 90 minutes during the middle of winter. 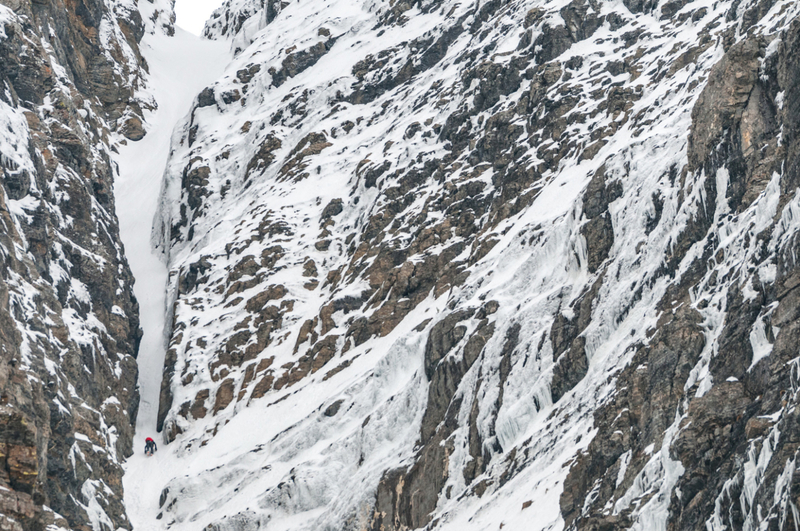 They are tenacious animals and make the mountains more wild and alive. The wolverine finally emerges again from the snow. I watch it lope back up the tundra, disappearing over the knife ridge of the Continental Divide. Though it looks at ease here, wolverines live precariously in the Lower 48. Scientists are finding that climate change and shrinking snowpack fragment their habitat. Development and motorized travel in the backcountry compound the stress on the animals. Trapping continues to kill too many of them. 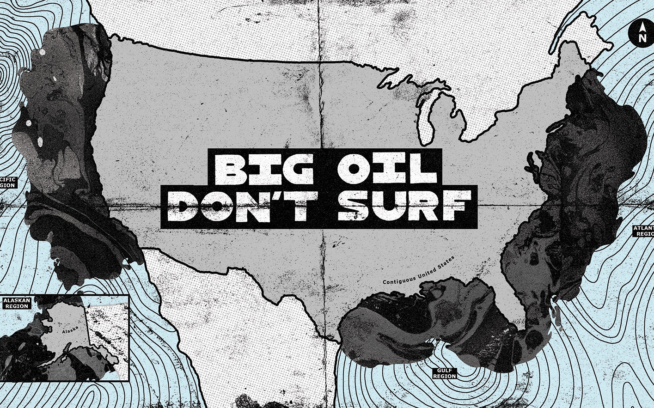 In the meantime, the U.S. Fish and Wildlife Service has gone back and forth on whether to list wolverines as threatened. These are the reasons I do this work day after day, documenting their lives so we will learn to protect this wild creature. The sun has dipped behind the ragged ridge and the air is cooling. With the wolverine gone, I pack up my camera gear, turn on my headlamp and head out over familiar terrain to my car. I’ll be out again tomorrow in hopes of crossing paths with this untamed alpinist once more. Fewer than 300 wolverines–spread across isolated mountain ranges–remain in the contiguous United States. Climate change and habitat fragmentation stress wolverines to a point where many scientists are concerned about their future. U.S. Fish and Wildlife service has reopened the public comment period on a proposed rule to list the North American wolverine as a threatened species. You can add your comment here through November 17, 2016. After the public comment period closes, Earthjustice will continue to put pressure on Fish and Wildlife to protect wolverines. Add your voice to speak up for wolverines. Steven Gnam is a photographer exploring and illuminating our connection to nature. His work is a celebration of the wild, and encourages protecting our remaining wild lands and wildlife.